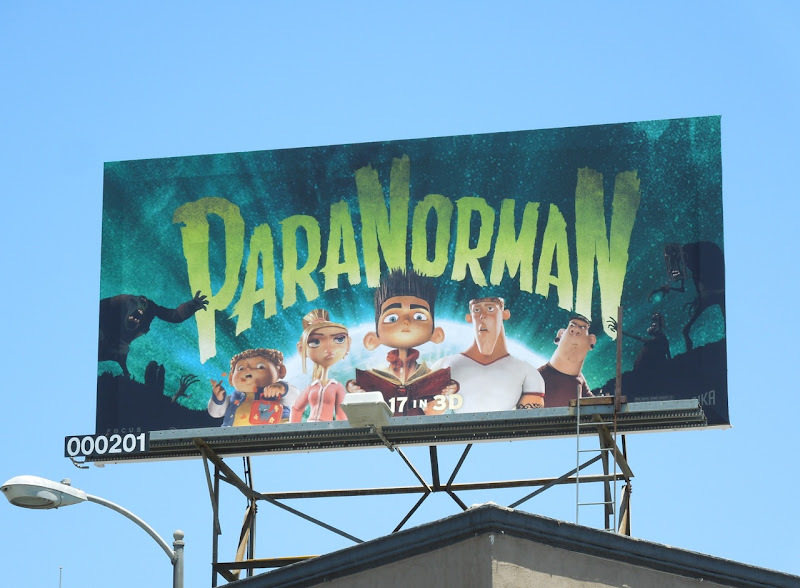 The month of August seems a strange time to release a stop-motion animated movie about the supernatural, but then maybe ParaNorman didn't want to compete with Tim Burton's Frankenweenie due out in the run up to Halloween later this year. 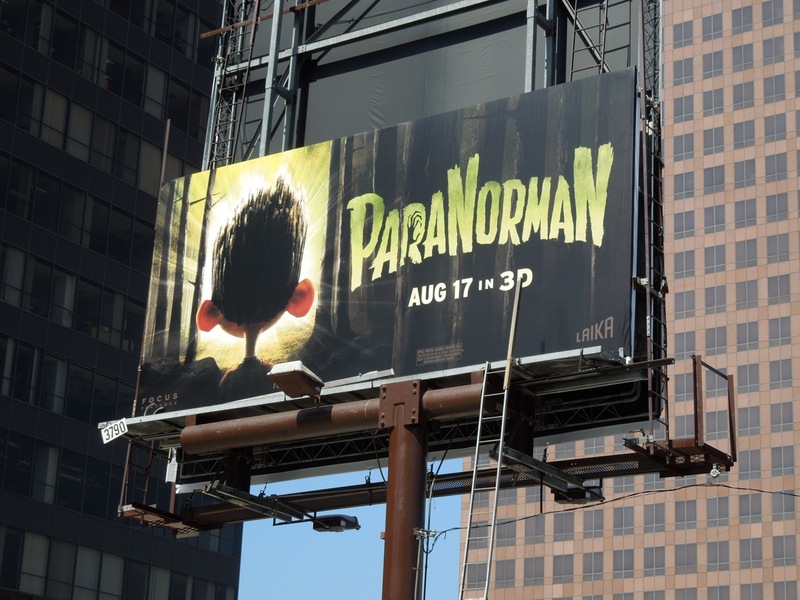 Produced by the creators of Coraline, the spooky story centers on 'Norman Babcock' an outcast local boy who can speak to the dead and must use his paranormal abilities to take on ghosts, zombies and even a witch's curse to save his small New England town of Blithe Hollow from the undead. 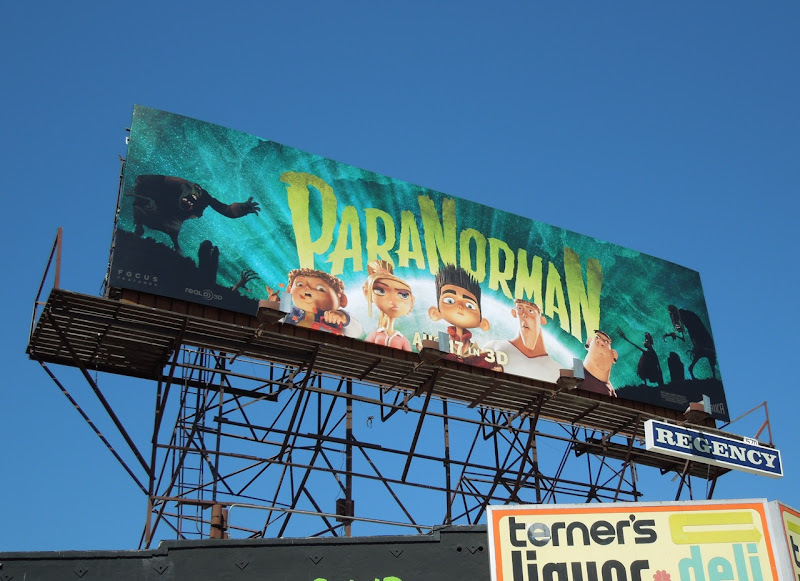 With a clever play-on-words title and some fun creatives these billboards certainly do the job to stand out amongst all the other ads filling L.A.'s skyline. 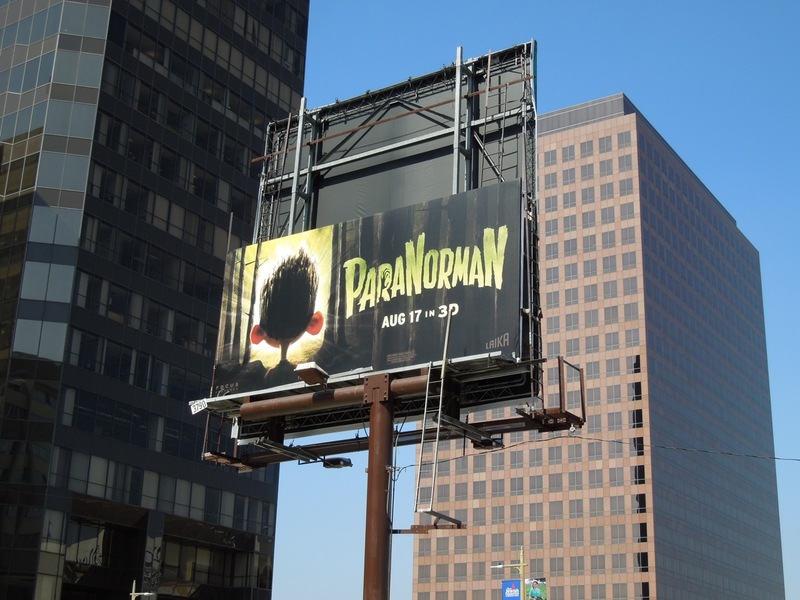 Daily Billboard especially like the version with the back of Norman's head as he stares into the supernatural glow of an eerie forest, it evokes the iconic feel of the little boy standing in the doorway in Close Encounters of the Third Kind. 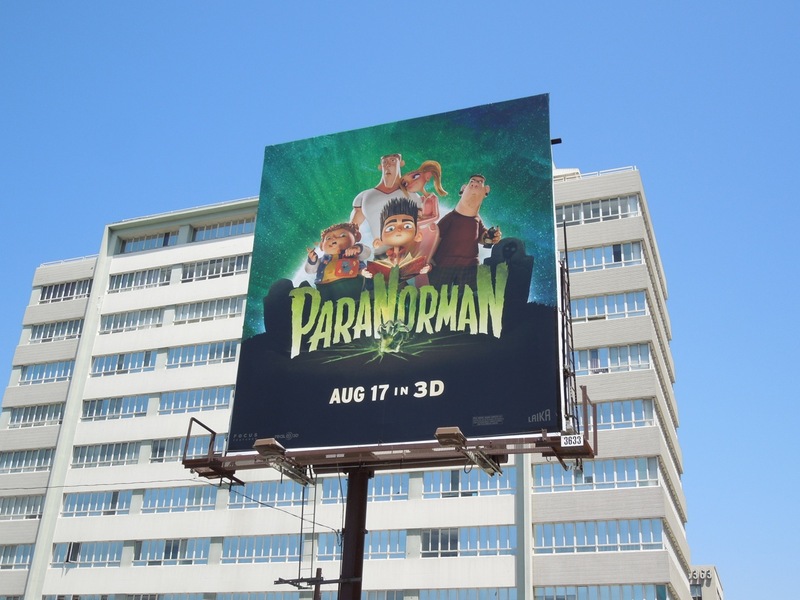 This billboard was snapped along Wilshire Boulevard at La Jolla Avenue on July 26, whilst a larger squarer different creative was to be found on the opposite side. 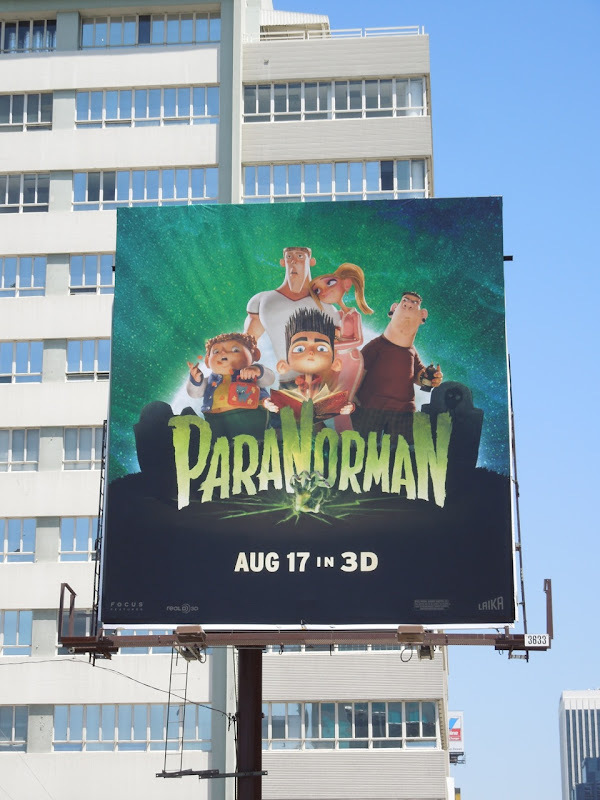 Meanwhile the standard landscape movie billboard was snapped along Sunset Boulevard at Larrabee Street, whilst the smaller version was spotted along Cahuenga Boulevard at Selma Avenue on 19 July, 2012. 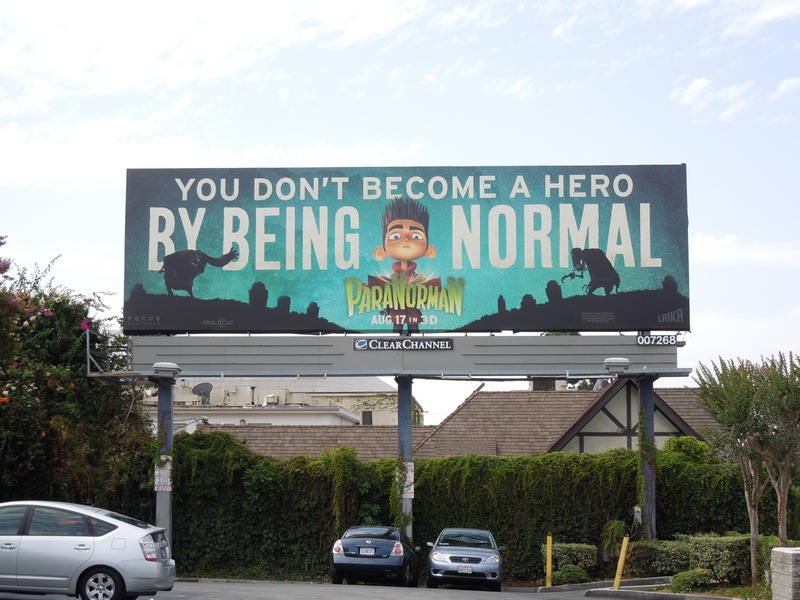 And remember, no one was ever a hero by being normal. 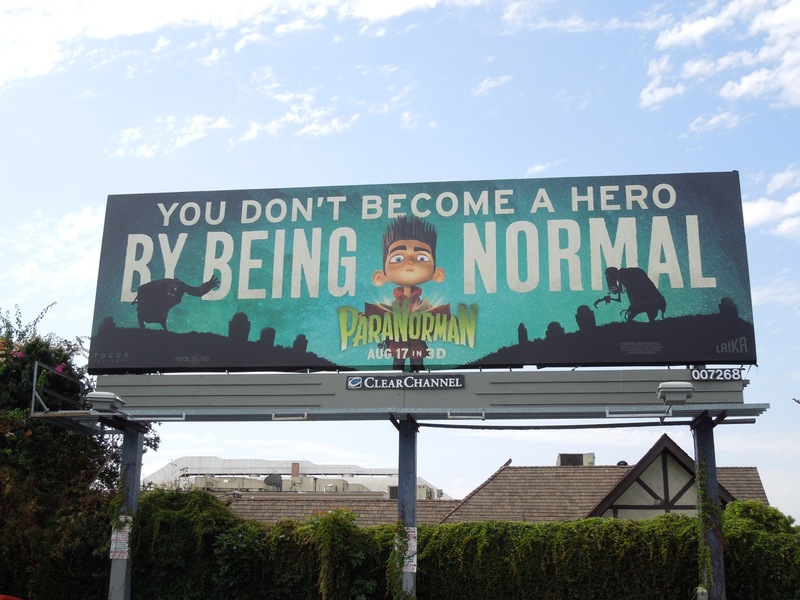 UPDATED: Here's another cool creative showing that it's okay to be different and sometimes even necessary to do the right thing. 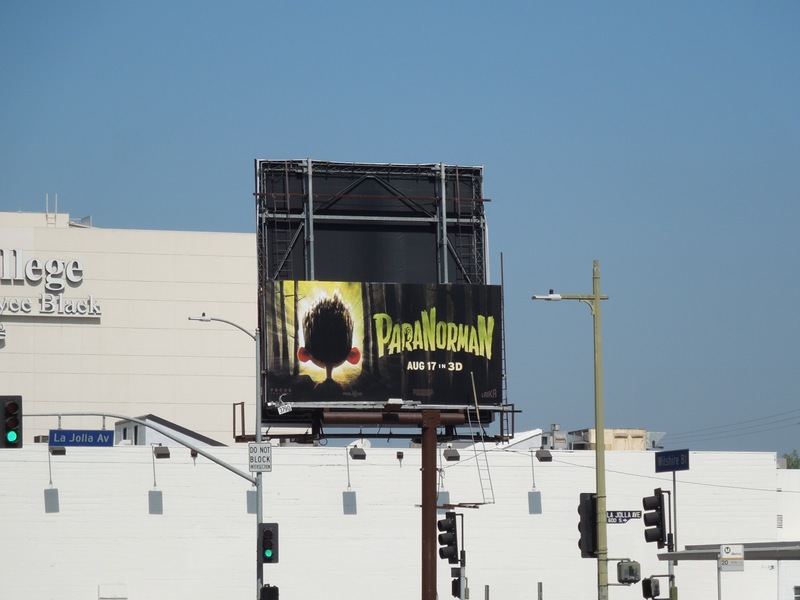 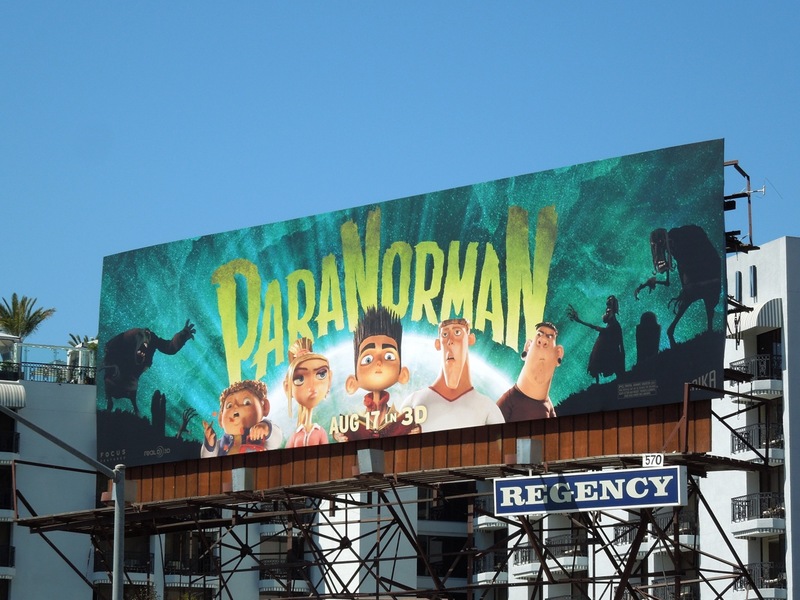 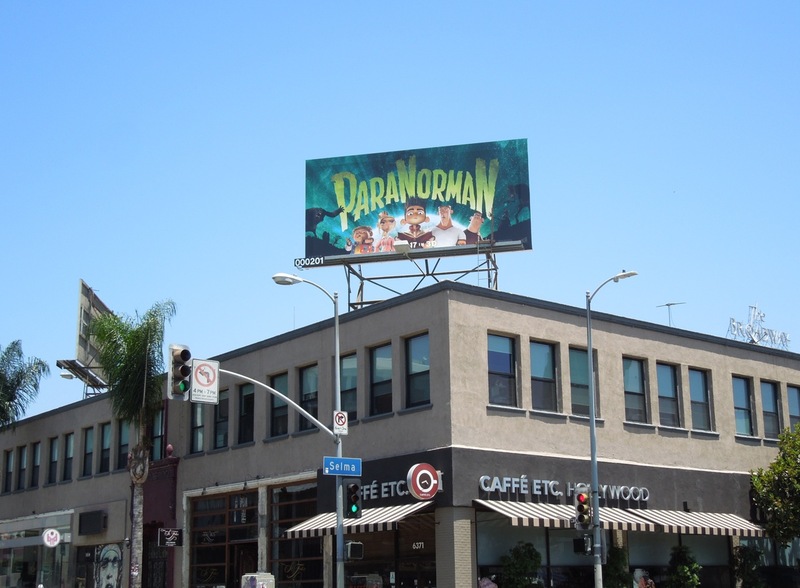 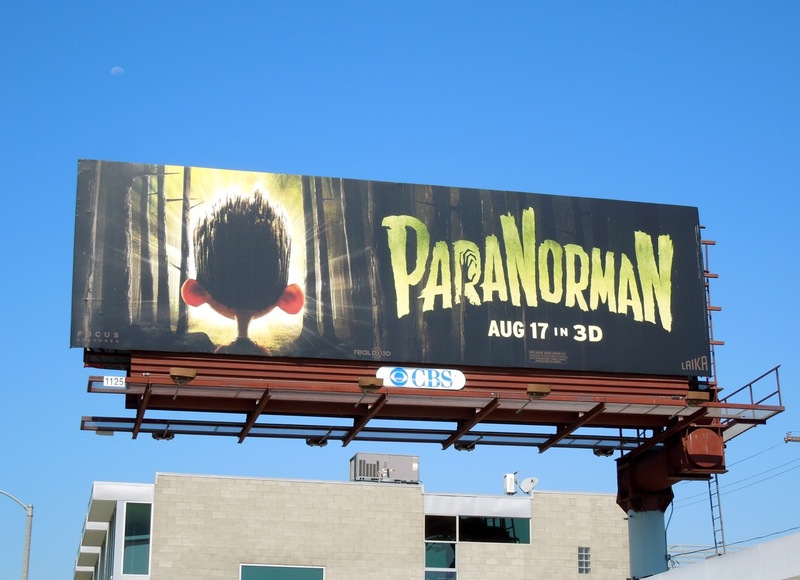 This ParaNorman billboard was snapped along La Brea Avenue near Sunset Boulevard on August 3, 2012. 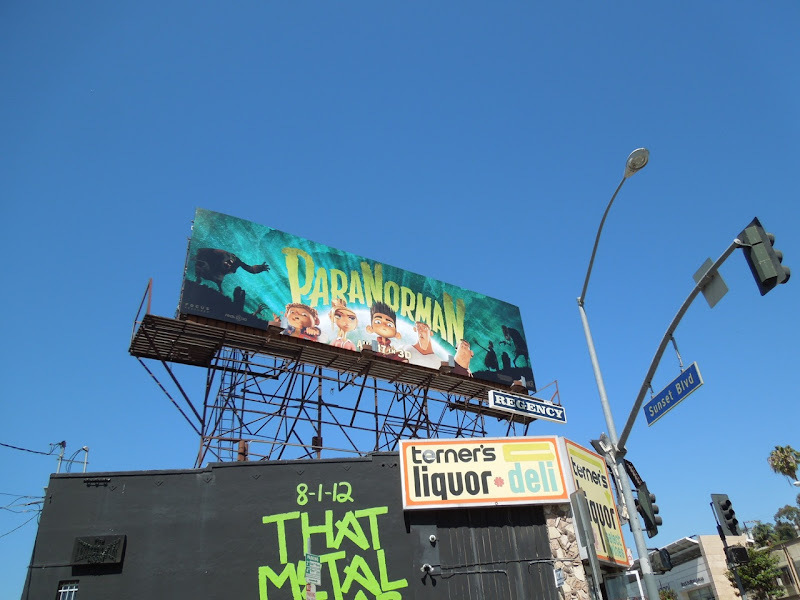 UPDATED: Daily Billboard couldn't resist also sharing a larger version of the back of Norman's head creative, snapped at Melrose and Highland Avenues on August 8, 2012.